Training Courses are scheduled by special request. Join us, at Konrad Marine headquarters in Hudson, Wisconsin for 3 days of technical training and hands-on workshops in general maintenance, assembly, repair, and overhaul of the Series 500 and Series 600 Stern drive product lines. Content is customized dependent upon attendee requirements. Technical classes are conducted primarily through hands-on workshops so both knowledge and experience are gained in service and maintenance of the product line. In addition, courses or workshops on specific models are available. Sales training for Dealers and Distributors can be held in conjunction with Technical Training by request. 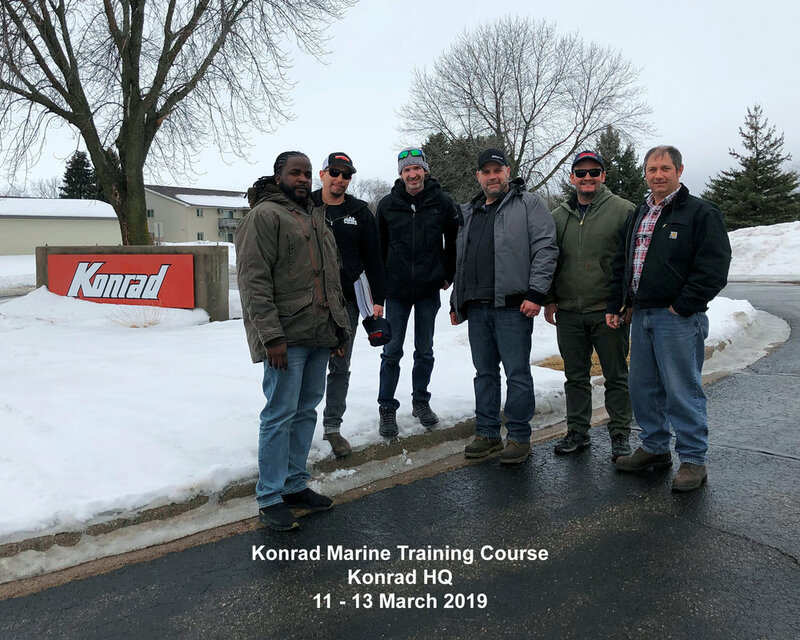 An orientation, company overview, and a tour of Konrad Marine’s manufacturing facility are also included for all courses. Tuition is due at the time of Registration and includes all course materials and most meals.